Two office/retail buildings in prime locations in inner Brisbane have been sold for more than $13 million. The properties in the Brisbane CBD and at Spring Hill were both sold by Ray White Commercial Queensland Director of Sales John Dwyer on behalf of private owners. Mr Dwyer said a partially tenanted three level building at 50-56 Little Edward Street, Spring Hill, which has potential for a mixed use project, was sold for $7.2 million. 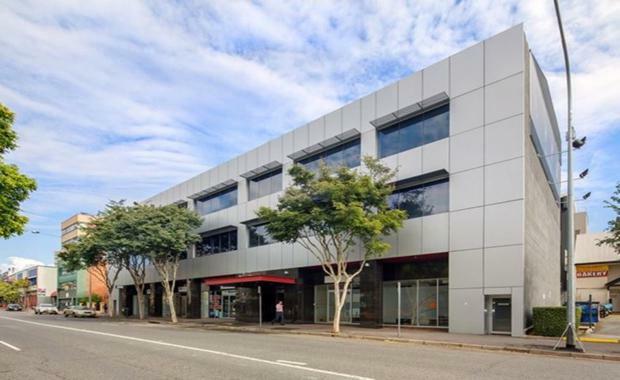 The other property, also a partially tenanted three level building, located at 99-101 Edward Street, Brisbane, was sold off market for $6.2 million by Mr Dwyer in conjunction with Trevor Weinert of Blue Commercial. Mr Dwyer said he had been involved in the sale of a number of commercial buildings in the city and on the fringe of the CBD over the past year and there was strong demand for investment and development opportunities in inner Brisbane. “There is currently a shortage of quality property and anyone thinking about selling their properties in and around the Brisbane CBD should be considering a formal marketing campaign to take advantage of the increased interest,” he said. The three storey plus basement Brisbane CBD building at 99-101 Edward St is heritage listed and was built in 1910. The property was refurbished in 1986 and 1996. “Edward St is earmarked by Brisbane City Council for an upgrade from the Queens Street Mall to Charlotte St,” Mr Dwyer said. Mr Dwyer said the 50-56 Little Edward St property is located in the heart of Spring Hill opposite the Brisbane Eye Hospital and within walking distance to St Andrew’s and Brisbane Private Hospital. “The free loop bus services which connects Spring Hill to the Brisbane CBD runs past this property,” he said.